Father’s Day is coming up this Sunday, and we wanted to take the opportunity to honor fathers all over the world as they dedicate themselves to building healthy, safe, and productive lives for their children. And since pictures often say more then words, we have posted some portraits of fathers with their children from around the world. Father’s Day is this Sunday, and we wanted to take the opportunity to honor fathers all over the world as they dedicate themselves to building healthy, safe and productive lives for their children. And since pictures often say more than words, here are some portraits of fathers from around the world with their children. 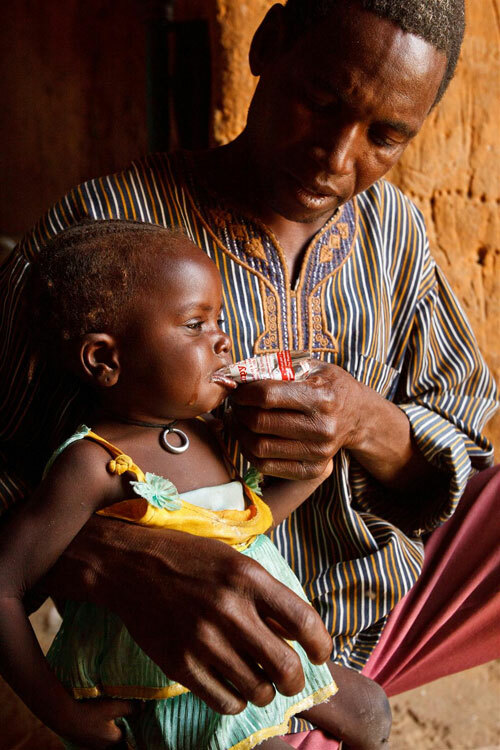 Left: Mamane Abdou feeds ready-to-use therapeutic food to his 22-month-old daughter, Fati, at home in southern Niger. For the last two weeks, Mamane has been closely monitoring his daughter's health. Little Fati was diagnosed with malnutrition and began receiving treatment from the village’s UNICEF-supported health center. Here she received therapeutic food and is now recovering. In Niger, under-five mortality rates remain among the highest in the world, the result of preventable or treatable conditions, including malnutrition. 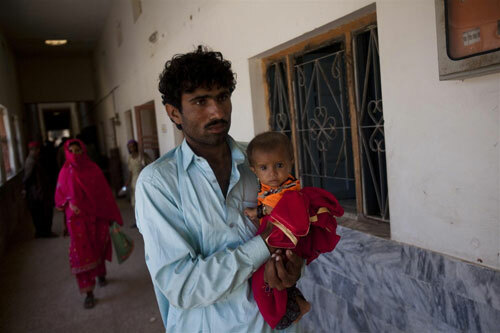 Below: In Pakistan's flood affected district of Thatta, Mohammed, a young father, brings his 14-month-old daughter, Umbreen, to a UNICEF-supported nutrition stabilization center. The center provides care for children with severe cases of malnutrition. Umbreen was born with low birth weight and has not yet developed a full appetite. 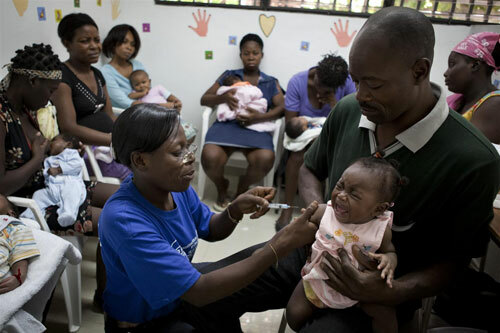 Below: At a UNICEF-supported clinic in Haiti's capital of Port-au-Prince, a health worker administers a vaccine to a crying infant gently held by her father. Not a pleasant moment for a kid—nor a dad, but a life saving protection! Below: At home, in Pakistan, Allahditta looks on while Fatimata, his eldest daughter, finishes her homework. Allahditta's priority is to give his children the education he did not receive. His daughters are enrolled at the UNICEF-supported Kot Azam Khan Government Girls Elementary School. This father’s day, you can give an Inspired Gift that helps fathers like these care for their children. Inspired gifts are actual lifesaving products that are shipped directly to families in need. Visit www.inspiredgifts.org for your Father's Day Inspired Gift.